Austin College employs approximately 400 student workers in various part-time jobs across campus. Student workers are limited to 8 hours per week and are paid twice a month via direct deposit. The rate of pay is minimum wage, $7.25 per hour. 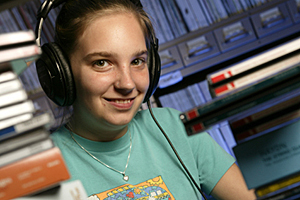 The College participates in the Federal Work-Study Program and the Texas Work-Study Program, which is available to students with financial need. There are a limited number of Austin College Employment jobs available as well. This is a non-need based institutional work program. All Federal Work-Study, Texas Work-Study and Austin College Employment jobs are assigned through the regular financial aid process and part of a student’s financial aid package. New Students who have been awarded employment as part of their aid package will be assigned to a job on campus. If you were not awarded employment as part of your aid package, you are asked to come by the Office of Financial Aid the second week of the semester to see what job openings still remain. Current Students who are requested by a supervisor to work for him/her will be awarded the appropriate employment program that fits their financial aid package (need-based vs. non-need based). If you have not worked on campus before and would like to get a job come by the Office of Financial Aid. All student workers are required to complete a W-4, direct deposit form and an I-9 (if you have never worked for Austin College before).